No two people are the same and no two people have exactly the same ability. For this reason a universal design approach to the way we design our products, services and environments is essential. 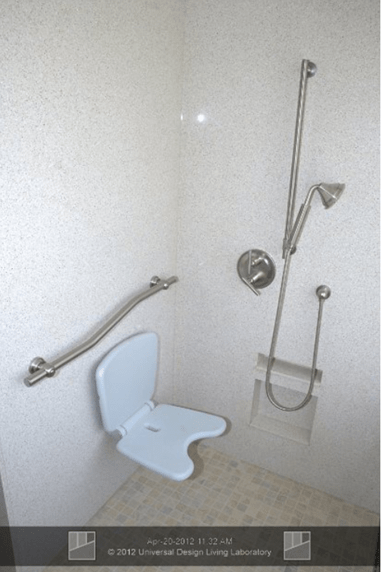 Universal Design creates inclusive design solutions and promotes accessibility and usability, allowing people with all levels of ability to live independently. As we spend much of our time within our homes, it make sense to have our homes designed in a way that meets the needs of all those that will live in it. People are diverse, some are left-handed and some right-handed and vary in their age, size and functional abilities. 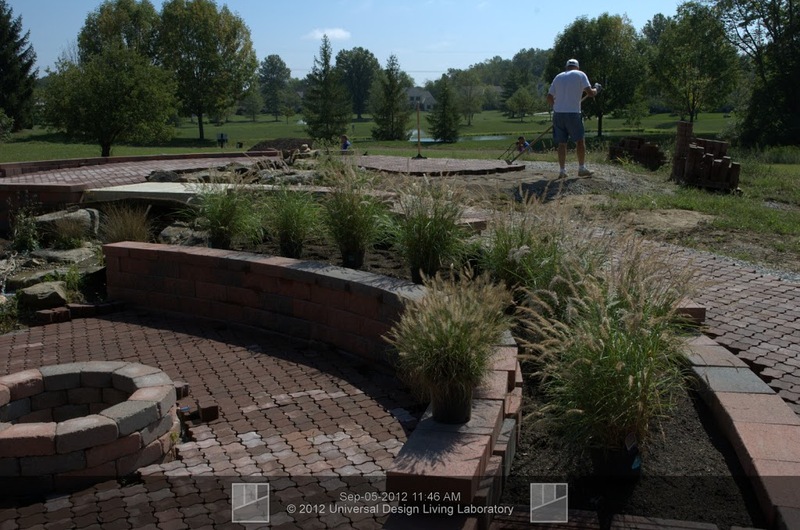 The Universal Design Living Laboratory is a really interesting home or project located in a suburb of Ohio, USA. 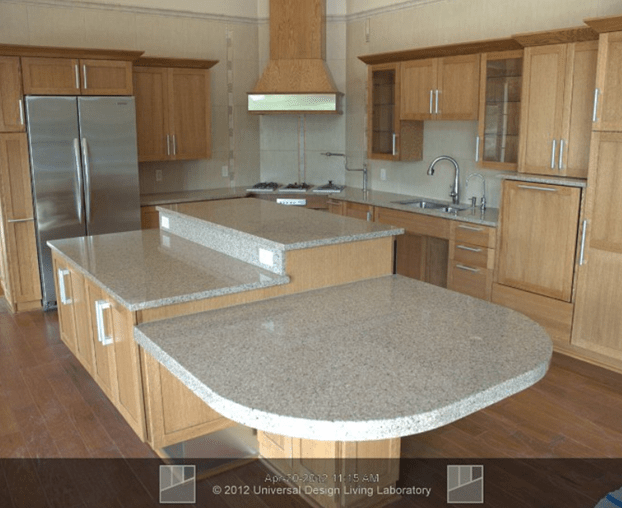 It is the home of Rosemarie Rossetti and her husband Mark who decided to create a custom home to suit their needs and serve as both a showcase of Universal Design products and a real-life laboratory to test out how Universal Design features work in a home over time. The motivation for the home came about after Rosemarie’s needs change after an accident. Rosemarie uses a wheelchair and Mark stands over 6ft tall. 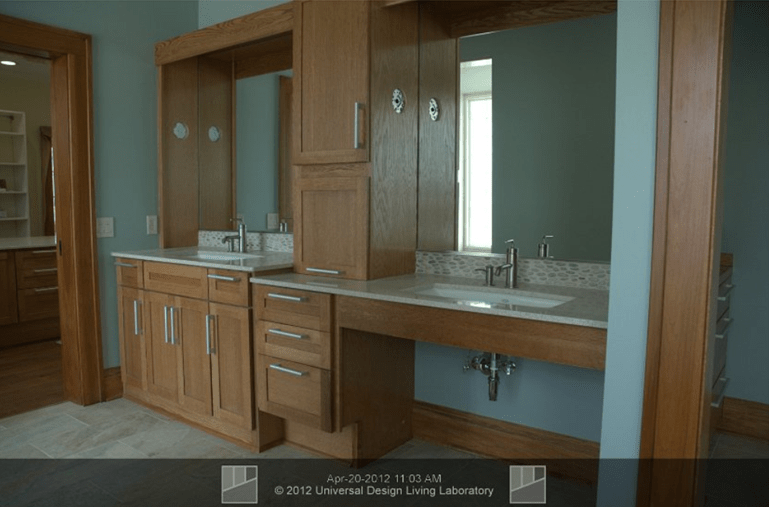 Follow Mark, as he describes some of the universal design features that are incorporated into his home (Universal Design Living Laboratory). 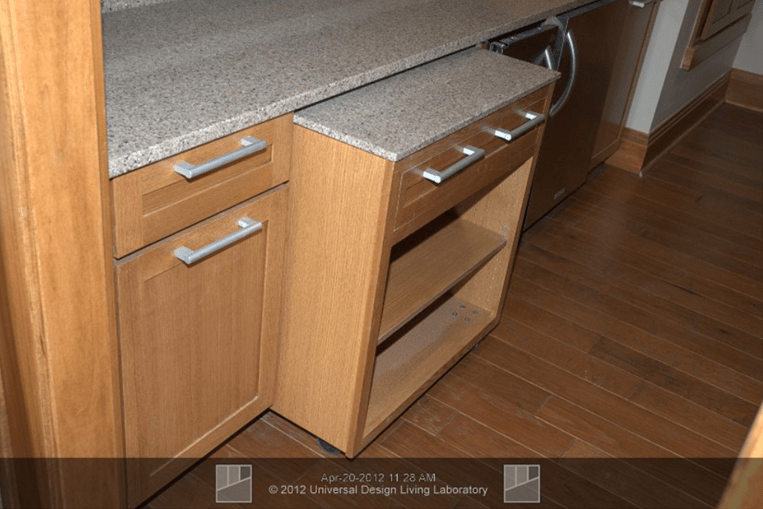 Rosemarie shares some universal design storage tips. 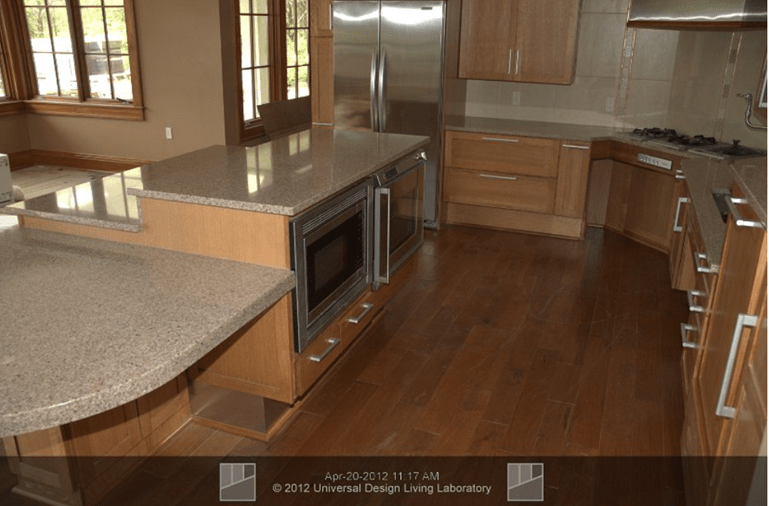 Within the kitchen there are multiple height counters and plenty of manoeuvring space. 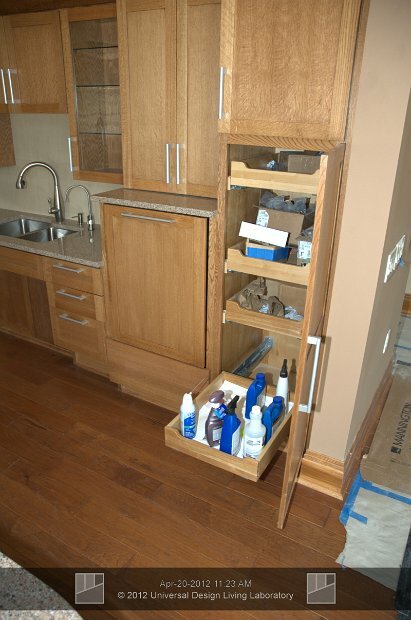 Pull-out storage makes reaching items easier. 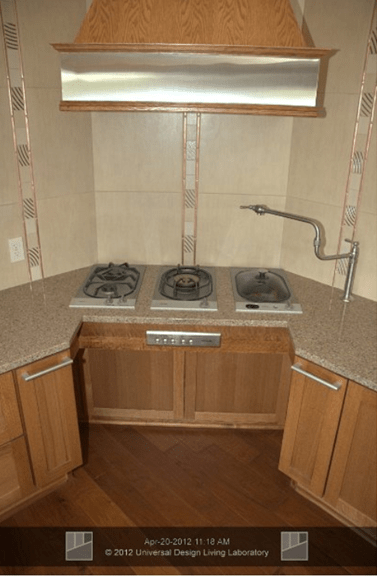 The oven and microwave are mounted in the lower cabinets and have side-hinged doors that make reaching the food easier. 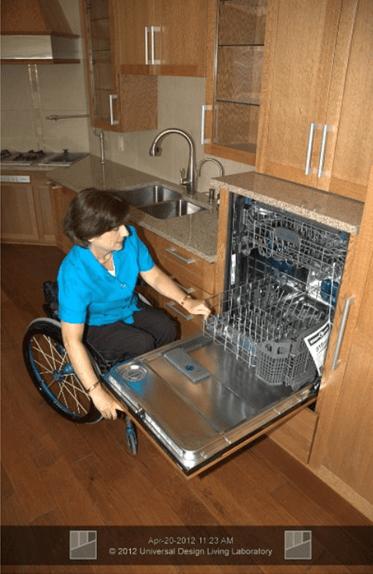 A raised dishwasher provides wheelchair accessibility and eliminates the need for standing users to stoop. A pot-filler faucet is located near the cooktop and in-counter steamer, eliminating the need to carry heavy water-filled pots to the stove. 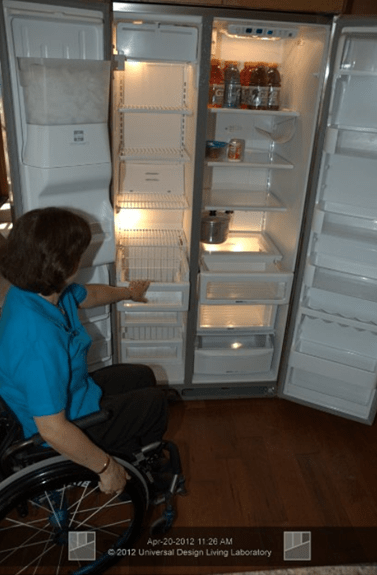 A Side-by-side style refrigerator/freezer lets seated users access both areas easily. A pull-out cart provides flexibility between under counter storage and knee clearance. Within the shower a Roll-in shower area includes trench drains, seats, and hand-held sprayers. A large ledge around the bath facilities transferring in and out. 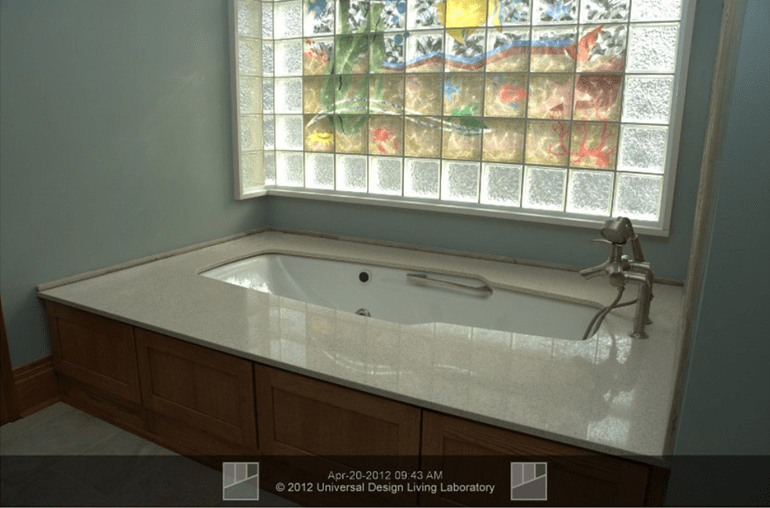 Glass block mosaic brings in light while maintaining privacy. Wheelchair accessible pathways are installed in the garden, which includes raised plant beds. 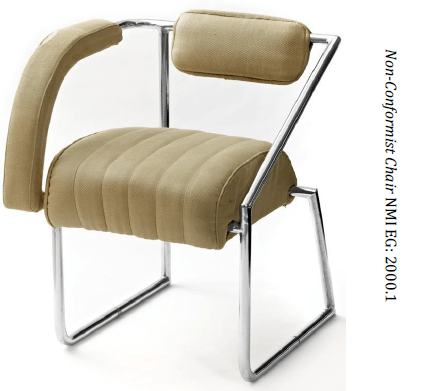 ‘Universal Design’ – what is it and how can it address ageing? The National Museum of Ireland, Dublin are hosting a public talk about ‘Universal Design’ – what is it and how can it address ageing. Join Enable Ireland and Bernard Timmins (DIT) at this participative event. The focus will be on the design of everyday household objects and how their design can be improved to match the needs of older users. Deadline for students to enter their design ideas. The Universal Design Grand Challenge is a design competition that promotes and awards Universal Design excellence in Ireland. The UDGC invites third level students to enter student projects that demonstrate concepts and designs that are easy to use for a wide range of people. The Universal Design Grand Challenge 2015 Student Awards is open to ALL third level students in their final two years of study, post grads and recent graduates from a wide range of disciplines including architecture, landscape architecture, engineering (all disciplines), computer science, multi-media, web design, graphic design, product design, innovation and design. Entries from individuals or teams welcome. 2. 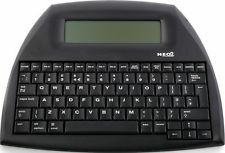 Send the completed UDGC Design Entry Form to the UDGC Dropbox folder. That’s it! You will receive confirmation and updates on the status of your entry. UDGC People’s Choice Award 2015 Trophy (travelling perpetual trophy) €1,000.00 in prize money (€500 for the school plus €500 for the designer(s))UDGC Judges’ Choice. Award 2015 Trophy (travelling perpetual trophy) €1,000.00 in prize money (€500 for the school plus €500 for the designer(s))Highly Commended entries will be also be announced at the UDGC event. The Enterprise Ireland “Universal Design Commercialisation Award” will provide one or more of the shortlisted entrants with a Commercial Case Feasibility Grant. Awards Event: 4th June, 2015. Westin Hotel, Dublin 2.